5 best ways to explore Venice, which I WOULD LIKE TO SHARE WITH YOU, I discovered during my trip to this ABSOLUTELY GORGEOUS AND TOTALLY TOURISTY city. Don’t get frustrated by the overcrowded touristic attractions. Since the Renaissance, Venice has been a magnet for artists searching for an inspiration, lovers looking for a romantic get away, scientists and tourists from all over the world. Nothing has been changed in this matter since the 14th century. You just need to find your own comfortable way of exploring the city. Venice lies on the Adriatic Sea. There are around 440 bridges in Venice. Every 6 hours the natural high and low tides are changing the water in the whole Lagoon. Castello – the largest and the most quiet Venetian sestiere, includes the beautiful gardens and the Arsenal. There is only one Piazza in Venice – it’s Piazza San Marco (St. Mark’s Square), other squares are called Campi. Ready for a small adventure? Try to find one of the bridges with NO parapets. Nowadays, there are only two left in the city. One is Ponte de Chiodo in the Cannaregio district, and the second is nearby island of Torcello. There are more than 100 islands around Venice. Among them such renowned islands like Giudecca (with a splendid view over the city); Murano Island (famous glass-making centre), Burano Island (well-know by its colorful houses lined among the canals); Lido (perfect for the beach-lovers). Mestre is a town on the mainland, connected to Venice. Staying on the mainland may save you some money. The train and bus connection from Mestre to Venice is very convenient. It will take you no longer than 15 minutes to get from Mestre to Venice. 1. Visit Venice during a certain event. The first and the most exciting way to dive into the city life, in my opinion, is visiting one of the special events in Venice. For the first time I have been in Venice during well-known Biennale Art Exhibition. It was a wonderful experience. Of course, I visited the most famous attractions, but more important I could discover different side of Venice by attending this fundamental art exhibition. You may find more information and photos from Venice Biennale Art Exhibition in my article -> La Biennale di Venezia 2017 – Viva Arte Viva. Venice is popular for its cultural life, like the Carnival of Venice, the art exhibition (La Biennale di Venezia), the film festival (Venice International Film Festival), the theatre (Teatro La Fenice; Biennale Teatro) and music festivals (Biennale Musica), the dance show (Biennale Danza) and special museums editions. The complete list of events, that take place in Venice, you may find on the official website. During my road trip in Italy, I had a few food tours in different cities and must say, that was a great way to discover the authentic character of people, cities, regions and country. I’ve got the tour from Viator, called Jewish Ghetto and Cannaregio Food Tour with Dinner in Venice, provided by Happy Travels. It was an amazing introduction into the rich Venetian history, culture and food. The tour took place in the one of the most charismatic neighborhoods – the Cannaregio district, also known as the former Jewish ghetto. The group was small (just 4 people), that made the tour more personable. Our charming and knowledgeable guide told us a lot of interesting facts about the lifestyle in Venice, Cannaregio’s and Venetian history, the old and new Jewish Ghetto. Consuming information was very easy as we stopped to taste some traditional kosher dishes, wine and authentic Venetian cuisine. Jewish Ghetto and Cannaregio Food Tour with Dinner in Venice is a walking food tour. Tour lasts around 4 hours. It was a good amount of walking, but stops on the way were perfectly scheduled. Good for all group ages. Venice is the best city in the world for walking. Bring your most comfortable, yet trendy (it’s a fashionable and artistic city after all) shoes and enjoy exciting discoveries of Venetian tiny streets. If you get lost and want to find your way to the main street, simply follow a sing Per San Marco. You will come to the main square. Walking in Venice at sunset is one of the most romantic experience I have ever had. Venice has a very low crime rate, so I felt quite safe wandering around in the evening. There is not much of a nightlife in the city, but it’s a very special experience walking among the canals at night, listening the water, splashing to the walls of the ancient buildings. For most people, gondola ride is a must experience in Venice. The price for the classical gondola ride is 80€ for a 40 minutes ride, up to 6 people can share the boat. I’m sure the city looks very special from the water. Though, I didn’t take a gondola ride. 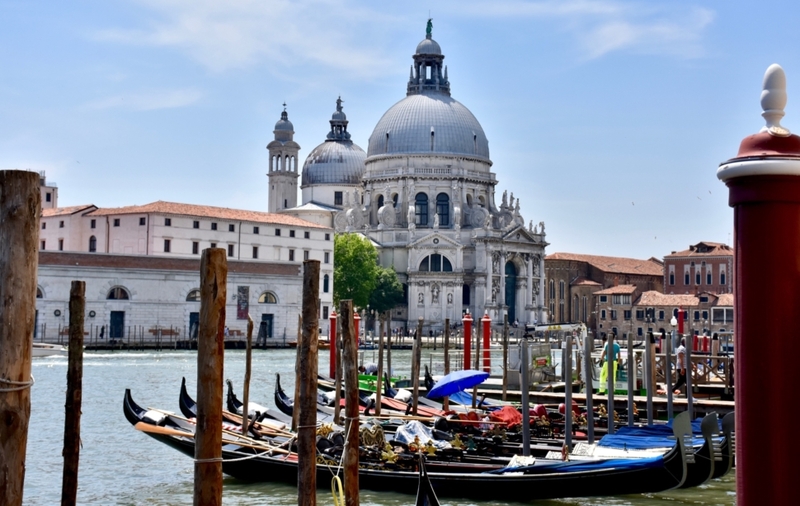 If you also don’t want to take the gondola ride, but do want to feel like a superstar, I suggest you take a water bus or a water taxi from the Marco Polo airport to your hotel (the city centre or one of the islands). It’s a nice way to discover Venice by boat. The dock is around 10 minutes walk from the arrival hall of the airport. The price for the water bus would be approximately 15 €, one way per adult. You can also get a daily ticket (24 hours, around 30 €) for the water buses in the city. I hope these hints and tips would be useful for you. You are welcome to share your experience in Venice in the comments below.